FESS UP BECAUSE , YOU MESSED UP . God sees, and knows,every wrong, and evil things you have done and is doing ,so confess and repent,or suffer for them later. “You have bought Me no sweet cane with money, Nor have you satisfied Me with the fat of your sacrifices; BUT YOU HAVE BURDENED ME WITH YOUR SINS, YOU HAVE WEARIED ME WITH YOUR INIQUITIES. “I, even I, am He who blots out your transgressions for My own sake; And I will not remember your sins”. (Isaiah 43:24‭-‬25 NKJV). “So then each of us shall give account of himself to God”. (Romans 14:12 NKJV). “For we must all appear before the judgment seat of Christ, that each one may receive the things done in the body, according to what he has done, whether good or bad”. (2 Corinthians 5:10 NKJV). “But I say to you that for every idle word men may speak, they will give account of it in the day of judgment. For by your words you will be justified, and by your words you will be condemned.”(Matthew 12:36‭-‬37 NKJV). “If My people who are called by My name will humble themselves, and pray and seek My face, and turn from their wicked ways, then I will hear from heaven, and will forgive their sin and heal their land”. (2 Chronicles 7:14 NKJV). “If we say that we have no sin, we deceive ourselves, and the truth is not in us. If we confess our sins, He is faithful and just to forgive us our sins and to cleanse us from all unrighteousness. If we say that we have not sinned, we make Him a liar, and His word is not in us”. (1 John 1:8‭-‬10 NKJV). “that if you confess with your mouth the Lord Jesus and believe in your heart that God has raised Him from the dead, you will be saved. For with the heart one believes unto righteousness, and with the mouth confession is made unto salvation. For the Scripture says, “Whoever believes on Him will not be put to shame.” For there is no distinction between Jew and Greek, for the same Lord over all is rich to all who call upon Him. For “whoever calls on the name of the Lord shall be saved.”(Romans 10:9‭-‬13 NKJV). “Have mercy upon me, O God, According to Your lovingkindness; According to the multitude of Your tender mercies, Blot out my transgressions. Wash me thoroughly from my iniquity, And cleanse me from my sin. For I acknowledge my transgressions, And my sin is always before me. Against You, You only, have I sinned, And done this evil in Your sight— That You may be found just when You speak, And blameless when You judge. Behold, I was brought forth in iniquity, And in sin my mother conceived me. Behold, You desire truth in the inward parts, And in the hidden part You will make me to know wisdom. Purge me with hyssop, and I shall be clean; Wash me, and I shall be whiter than snow. Make me hear joy and gladness, That the bones You have broken may rejoice. Hide Your face from my sins, And blot out all my iniquities. Create in me a clean heart, O God, And renew a steadfast spirit within me. Do not cast me away from Your presence, And do not take Your Holy Spirit from me. Restore to me the joy of Your salvation, And uphold me by Your generous Spirit. Then I will teach transgressors Your ways, And sinners shall be converted to You. Deliver me from the guilt of bloodshed, O God, The God of my salvation, And my tongue shall sing aloud of Your righteousness. O Lord, open my lips, And my mouth shall show forth Your praise”. (Psalms 51:1‭-‬15 NKJV). “Blessed is he whose transgression is forgiven, Whose sin is covered. Blessed is the man to whom the Lord does not impute iniquity, And in whose spirit there is no deceit. When I kept silent, my bones grew old Through my groaning all the day long. For day and night Your hand was heavy upon me; My vitality was turned into the drought of summer. Selah I acknowledged my sin to You, And my iniquity I have not hidden. I said, “I will confess my transgressions to the Lord ,” And You forgave the iniquity of my sin. Selah For this cause everyone who is godly shall pray to You In a time when You may be found; Surely in a flood of great waters They shall not come near him. You are my hiding place; You shall preserve me from trouble; You shall surround me with songs of deliverance”. Selah (Psalms 32:1‭-‬7 NKJV). “He who dwells in the secret place of the Most High Shall abide under the shadow of the Almighty. I will say of the Lord , “He is my refuge and my fortress; My God, in Him I will trust.” Surely He shall deliver you from the snare of the fowler And from the perilous pestilence. He shall cover you with His feathers, And under His wings you shall take refuge; His truth shall be your shield and buckler. You shall not be afraid of the terror by night, Nor of the arrow that flies by day, Nor of the pestilence that walks in darkness, Nor of the destruction that lays waste at noonday. A thousand may fall at your side, And ten thousand at your right hand; But it shall not come near you. Only with your eyes shall you look, And see the reward of the wicked. Because you have made the Lord , who is my refuge, Even the Most High, your dwelling place, No evil shall befall you, Nor shall any plague come near your dwelling; For He shall give His angels charge over you, To keep you in all your ways. In their hands they shall bear you up, Lest you dash your foot against a stone. You shall tread upon the lion and the cobra, The young lion and the serpent you shall trample underfoot. “Because he has set his love upon Me, therefore I will deliver him; I will set him on high, because he has known My name. He shall call upon Me, and I will answer him; I will be with him in trouble; I will deliver him and honor him. With long life I will satisfy him, And show him My salvation.”(Psalms 91:1‭-‬16 NKJV). “But now, thus says the Lord , who created you, O Jacob, And He who formed you, O Israel: “Fear not, for I have redeemed you; I have called you by your name; You are Mine. When you pass through the waters, I will be with you; And through the rivers, they shall not overflow you. When you walk through the fire, you shall not be burned, Nor shall the flame scorch you. For I am the Lord your God, The Holy One of Israel, your Savior; I gave Egypt for your ransom, Ethiopia and Seba in your place. Since you were precious in My sight, You have been honored, And I have loved you; Therefore I will give men for you, And people for your life”. (Isaiah 43:1‭-‬4 NKJV). “Finally, my brethren, be strong in the Lord and in the power of His might. Put on the whole armor of God, that you may be able to stand against the wiles of the devil. For we do not wrestle against flesh and blood, but against principalities, against powers, against the rulers of the darkness of this age, against spiritual hosts of wickedness in the heavenly places. Therefore take up the whole armor of God, that you may be able to withstand in the evil day, and having done all, to stand. Stand therefore, having girded your waist with truth, having put on the breastplate of righteousness, and having shod your feet with the preparation of the gospel of peace; above all, taking the shield of faith with which you will be able to quench all the fiery darts of the wicked one. And take the helmet of salvation, and the sword of the Spirit, which is the word of God; praying always with all prayer and supplication in the Spirit, being watchful to this end with all perseverance and supplication for all the saints—”(Ephesians 6:10‭-‬18 NKJV). “Love has been perfected among us in this: that we may have boldness in the day of judgment; because as He is, so are we in this world. There is no fear in love; but perfect love casts out fear, because fear involves torment. But he who fears has not been made perfect in love. We love Him because He first loved us. IF SOMEONE SAYS, “I LOVE GOD,” AND HATES HIS BROTHER, HE IS A LIAR; FOR HE WHO DOES NOT LOVE HIS BROTHER WHOM HE HAS SEEN, HOW CAN HE LOVE GOD WHOM HE HAS NOT SEEN? And this commandment we have from Him: that he who loves God must love his brother also”. ( 1 John 4:17‭-‬21 NKJV). “Though I speak with the tongues of men and of angels, but have not love, I have become sounding brass or a clanging cymbal. And though I have the gift of prophecy, and understand all mysteries and all knowledge, and though I have all faith, so that I could remove mountains, but have not love, I am nothing. And though I bestow all my goods to feed the poor, and though I give my body to be burned, but have not love, it profits me nothing. Love suffers long and is kind; love does not envy; love does not parade itself, is not puffed up; does not behave rudely, does not seek its own, is not provoked, thinks no evil; does not rejoice in iniquity, but rejoices in the truth; bears all things, believes all things, hopes all things, endures all things. Love never fails. But whether there are prophecies, they will fail; whether there are tongues, they will cease; whether there is knowledge, it will vanish away. For we know in part and we prophesy in part. But when that which is perfect has come, then that which is in part will be done away. When I was a child, I spoke as a child, I understood as a child, I thought as a child; but when I became a man, I put away childish things. For now we see in a mirror, dimly, but then face to face. Now I know in part, but then I shall know just as I also am known. And now abide faith, hope, love, these three; but the greatest of these is love”. (1 Corinthians 13:1‭-‬13 NKJV). +The evidence of love is demonstrated in Giving, Caring, Sharing and Compassion. +Love gives to others at the expense and sacrifice of self. +Lust and hate always seek to get and take from others to satisfy themselves at the expense of others. +People are to be Loved and not to be Used. Things are to be Used and not to be Loved. +Beware of those who love things and use people, and use people to get the things they love. +Love is always more about others than it is about self. Be NOT Deceived Love Must be PROVEN. +God does not want us to be ignorant in anything that pertains to Life and Godliness. +Love pertains to life and godliness. Prove (test) all things; hold fast (keep) that which is good. +Love is proven when it is demonstrated. +Undemonstrated Love is in the same category as a person who has no love. +As loving Children of God there isn’t a moment when we are not supposed to show Love. +Let Love be heard in every word we speak. +Let Love be seen in all that we do. +Let Love be felt in the touch of our deeds. +Loving God and loving each other is another way of showing God’s Glory and Glorifying God. +Love never fails. So let us not fail to Love. +Who is it that we are not showing the love of God to? Reach out and show love to them for Christ sakes. +We shouldn’t love others because they are lovable or because they love us. We love others because we love and obey our Lord, John 13:34; 15:10. +As Believers not loving other gives the devil the largest entrance to our lives. The thief (Satan the devil) comes to STEAL, and to KILL, and to DESTROY: I (Christ Jesus your Lord) am come that you might have LIFE, and that you might have it more abundantly. +When we walk in love it keeps the door closed to the devil and wide open to Christ Jesus our Lord. Why go to Church? Because God says so. +Going to Church is not a suggestion. It’s a commandment of God. +Some say it NOT a BIG deal not going to Church. +This like saying it’s NOT a BIG deal if we don’t pray, if we don’t love God and love one another. •Going to Church is a Commandment of God and not a tradition of man. +Going to Church (God’s People Assembling together)positions us to hear from God and to be blessed by Him. “Make a joyful noise unto the LORD, all ye lands. Serve the LORD with gladness: come before his presence with singing. Know ye that the LORD he is God: it is he that hath made us, and not we ourselves; we are his people, and the sheep of his pasture. Enter into his gates with thanksgiving, and into his courts with praise: be thankful unto him, and bless his name. For the LORD is good; his mercy is everlasting; and his truth endureth to all generations”. “I will bless the LORD at all times: his praise shall continually be in my mouth. My soul shall make her boast in the LORD: the humble shall hear thereof, and be glad. O magnify the LORD with me, and let us exalt his name together”. (Psalm 34:1-3). Your strength is in God ,and from God. +Our STRENGTH is always in the Lord. +Anyone that is strong in their own strength is dangerous to themselves and to others. +When we realized that the Lord is our STRENGTH, and the STRENGTH of our lives, and the STRENGTH by which we live, we will live life without fears. +In 1Samuel 17 David faced Goliath and took him on in the Name of the Lord of Hosts (Armies). David didn’t look at the giant size difference between himself and Goliath to determine his victory. +David didn’t looked at the strength difference between himself and Goliath to determine his victory. +David knew the Lord was the STRENGTH of his life and the Lord was his Victory. +Likewise the Lord is our STRENGTH and the STRENGTH of our lives, and this is why we always have Victory. Oftentimes, when we are facing a difficulty, it’s easy to become weary in our minds and emotions. Trying to figure it all out in our own strength can be exhausting. But we weren’t meant to try to figure everything out, we were meant to trust. We were meant to call on Him and let Him be the hero of our story! The Bible says in Isaiah that when you cry to God for help, as soon as He hears, He will answer you! He will give you strength when you are weary and increase your power when you feel weak. No matter what is going on in your life today, God is greater than any obstacle or difficulty you may be facing. Do you need strength to overcome a challenge in your life? Do you need power to stand strong in the midst of a storm? Call on Him and He will hear you. Open your heart, and by faith, receive His strength and might. Let Him empower you to live in victory and overcome all the days of your life! God knows your heart,your thoughts , your ways,everything . 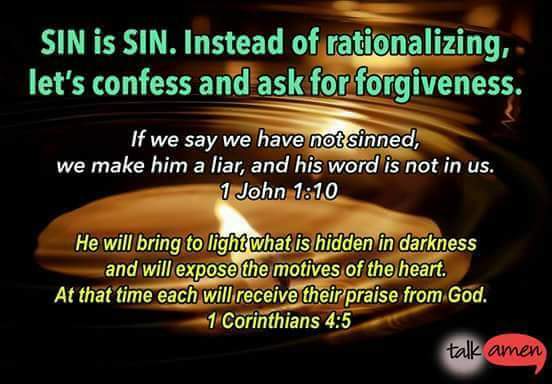 Therfore you just have to confess, and come clean to God. But remember He sees and knows everything ,so it’s no use hiding anything. “The heart is deceitful above all things, And desperately wicked; Who can know it? I, the Lord , search the heart, I test the mind, Even to give every man according to his ways, According to the fruit of his doings”. (Jeremiah 17:9‭-‬10 NKJV). “But the Lord said to Samuel, “Do not look at his appearance or at his physical stature, because I have refused him. For the Lord does not see as man sees; for man looks at the outward appearance, but the Lord looks at the heart.”(1 Samuel 16:7 NKJV). “Hide Your face from my sins, And blot out all my iniquities. CREATE IN ME A CLEAN HEART, O GOD, And renew a steadfast spirit within me. Do not cast me away from Your presence, And do not take Your Holy Spirit from me. Restore to me the joy of Your salvation, And uphold me by Your generous Spirit. Then I will teach transgressors Your ways, And sinners shall be converted to You. Deliver me from the guilt of bloodshed, O God, The God of my salvation, And my tongue shall sing aloud of Your righteousness. O Lord, open my lips, And my mouth shall show forth Your praise”. (Psalms 51:9‭-‬15 NKJV). “Then I will give them one heart, and I will put a new spirit within them, and take the stony heart out of their flesh, and give them a heart of flesh, that they may walk in My statutes and keep My judgments and do them; and they shall be My people, and I will be their God. But as for those whose hearts follow the desire for their detestable things and their abominations, I will recompense their deeds on their own heads,” says the Lord God “. (Ezekiel 11:19‭-‬21 NKJV). “Cast away from you all the transgressions which you have committed, and GET YOURSELVES A NEW HEART AND A NEW SPIRIT. For why should you die, O house of Israel? For I have no pleasure in the death of one who dies,” says the Lord God . “Therefore turn and live!”. (Ezekiel 18:31‭-‬32 NKJV). “They shall be My people, and I will be their God; then I will give them one heart and one way, that they may fear Me forever, for the good of them and their children after them. And I will make an everlasting covenant with them, that I will not turn away from doing them good; but I will put My fear in their hearts so that they will not depart from Me. Yes, I will rejoice over them to do them good, and I will assuredly plant them in this land, with all My heart and with all My soul.’ “For thus says the Lord : ‘Just as I have brought all this great calamity on this people, so I will bring on them all the good that I have promised them”. (Jeremiah 32:38‭-‬42 NKJV). 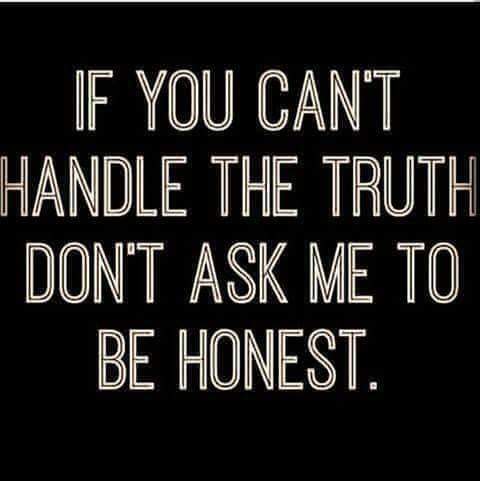 “And you shall know the truth, and the truth shall make you free.”(John 8:32 NKJV). “Do you not know that the unrighteous will not inherit the kingdom of God? Do not be deceived. Neither fornicators, nor idolaters, nor adulterers, nor homosexuals, nor sodomites, nor thieves, nor covetous, nor drunkards, nor revilers, nor extortioners will inherit the kingdom of God. And such were some of you. But you were washed, but you were sanctified, but you were justified in the name of the Lord Jesus and by the Spirit of our God. All things are lawful for me, but all things are not helpful. All things are lawful for me, but I will not be brought under the power of any. Foods for the stomach and the stomach for foods, but God will destroy both it and them. Now the body is not for sexual immorality but for the Lord, and the Lord for the body. And God both raised up the Lord and will also raise us up by His power. Do you not know that your bodies are members of Christ? Shall I then take the members of Christ and make them members of a harlot? Certainly not! Or do you not know that he who is joined to a harlot is one body with her? For “the two,” He says, “shall become one flesh.” But he who is joined to the Lord is one spirit with Him. Flee sexual immorality. Every sin that a man does is outside the body, but he who commits sexual immorality sins against his own body. Or do you not know that your body is the temple of the Holy Spirit who is in you, whom you have from God, and you are not your own? For you were bought at a price; therefore glorify God in your body and in your spirit, which are God’s”. (1 Corinthians 6:9‭-‬20 NKJV). “Therefore I say to you, every sin and blasphemy will be forgiven men, but the blasphemy against the Spirit will not be forgiven men. Anyone who speaks a word against the Son of Man, it will be forgiven him; but whoever speaks against the Holy Spirit, it will not be forgiven him, either in this age or in the age to come. “Either make the tree good and its fruit good, or else make the tree bad and its fruit bad; for a tree is known by its fruit. Brood of vipers! How can you, being evil, speak good things? For out of the abundance of the heart the mouth speaks. A good man out of the good treasure of his heart brings forth good things, and an evil man out of the evil treasure brings forth evil things. But I say to you that for every idle word men may speak, they will give account of it in the day of judgment. For by your words you will be justified, and by your words you will be condemned.”(Matthew 12:31‭-‬37 NKJV). “that if you confess with your mouth the Lord Jesus and believe in your heart that God has raised Him from the dead, you will be saved. For with the heart one believes unto righteousness, and with the mouth confession is made unto salvation. For the Scripture says, “Whoever believes on Him will not be put to shame.” For there is no distinction between Jew and Greek, for the same Lord over all is rich to all who call upon Him. For “whoever calls on the name of the Lord shall be saved.” How then shall they call on Him in whom they have not believed? And how shall they believe in Him of whom they have not heard? And how shall they hear without a preacher? And how shall they preach unless they are sent? As it is written: “How beautiful are the feet of those who preach the gospel of peace, Who bring glad tidings of good things!” But they have not all obeyed the gospel. For Isaiah says, “ Lord , who has believed our report?” So then faith comes by hearing, and hearing by the word of God. But I say, have they not heard? Yes indeed: “Their sound has gone out to all the earth, And their words to the ends of the world.”(Romans 10:9‭-‬18 NKJV).